The newly designed Rhin-O-Tuff Coil Binding System 3000 is the first of its kind; this all-in-one desktop coil binding system combines electric punching, coil insertion, and crimping all into one compact, easy-to-use machine making it ideal for offices and print shop environments. The Rhin-O-Tuff Coil Binding System 3000 features an electric punch to allow for easy, hands-free punching of up to 20 sheets of 20# paper, an electric coil inserter to accommodate books using a 2" diameter plastic coil, a margin control dial to allow for a strong bind of larger size documents, an open ended punch throat and fully disengageable punch pins to accommodate various size documents, adjustable edge guides to ensure a properly proper paper alignment, and a built-in electric crimper that eliminates the need for cumbersome hand crimpers or pliers, and more!! 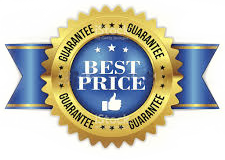 With our Guaranteed Lowest Pricing plus the additional savings you'll enjoy with our quantity pricing offers nobody saves you more money on quality laminating and binding products than Laminator.com.